There are places you can afford to cut corners in photo and video work and places where you shouldn't. 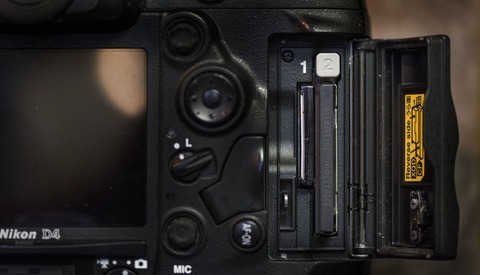 One thing I believe you should always invest in are good memory cards, as they're crucial to your images and video. 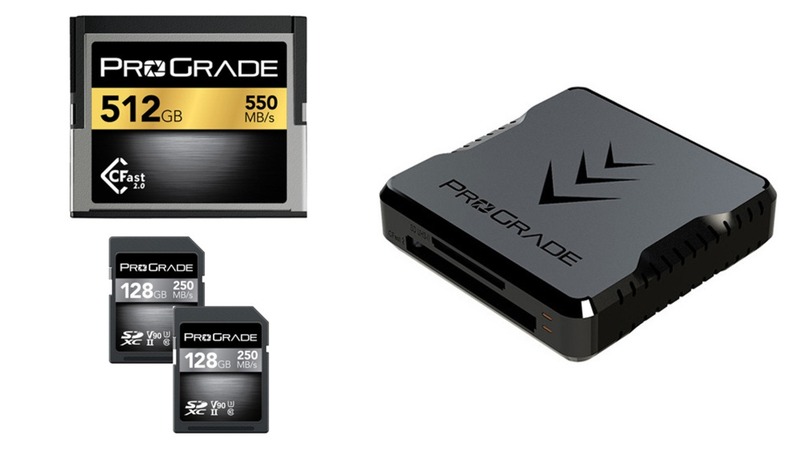 ProGrade's new memory cards intend to be the professional's choice. Check out our review of their cards and reader. 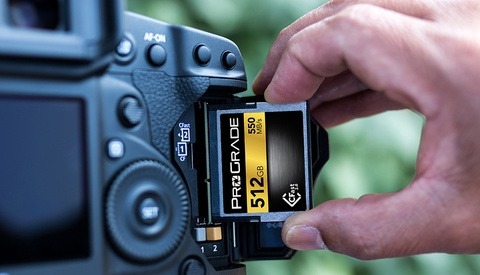 You might know ProGrade as the brand founded by former Lexar executives with the mission of producing top-of-the-line memory cards for professional photographers and videographers. They currently offer CFast 2.0 and SDXC UHS-II memory cards in varying capacities as well as a card reader that can handle both. They've also demonstrated a CFExpress 1.0 card that can reach insane read/write speeds of 1,400 MB/s and 1000 MB/s, due to be released in September of this year. The ProGrade CFast 2.0 memory card feels very solid, with sturdy metal casing. The Canon 1D X Mark II has a continuous frame rate of 14 fps and shoots 4K video at 60 fps, resulting in data moving at 800 Mbps. Whether you're shooting stills of video, the camera pushes a ton of data through in a short time, namely somewhere around 350 MB/s with stills and 100 MB/s with video. Nonetheless, with a write speed of 450 MB/s, theoretically, the card should be able to keep up. 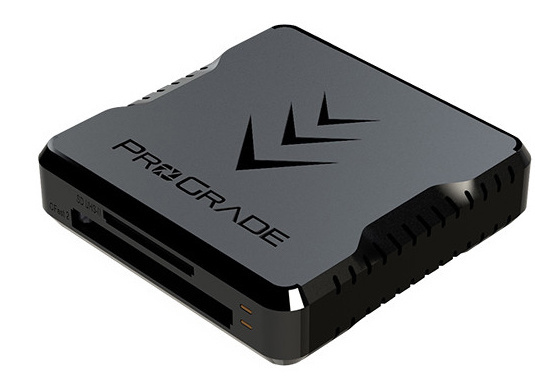 ProGrade gives the card a VPG-130 rating, which guarantees it'll never drop below 130 MB/s write speeds, ensuring that it can always handle the most demanding 4K. In practice, I had no problem mashing down the shutter and shooting at the full continuous rate without ever filling the buffer. For sports photographers and photojournalists, this means you can shoot at a fairly ludicrous rate for as long as you want, ensuring that your buffer will never be the reason you miss a shot. That's a nice security blanket to have. Those working with pro cinema cameras like the C300 Mark II should also be happy, as the maximum data rate of that camera (410 MB/s) puts the ProGrade card into a small field of products that can handle the full output. On the read side of things, thing were blisteringly fast. A folder of 20 videos files weighing in at 5.02 GB transferred in 11 seconds exactly, a crazy 456 MB/s. That's great news for those who come home with lots of large video files or thousands of images. I know I personally hate waiting for things to transfer, and transferring somewhere in the neighborhood of 20 raw images every second certainly reduces the wait time. In addition, reliability was perfect: I never experienced any lost files or errors. 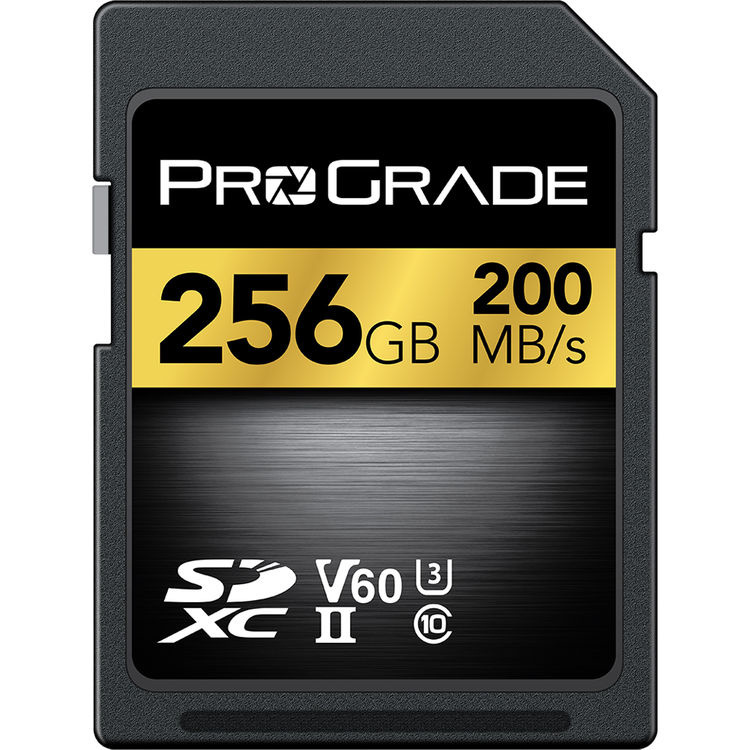 Lastly, it's also worth noting that the ProGrade's price is very good, generally offering cards of the same capacity as other major brands at about half the price. 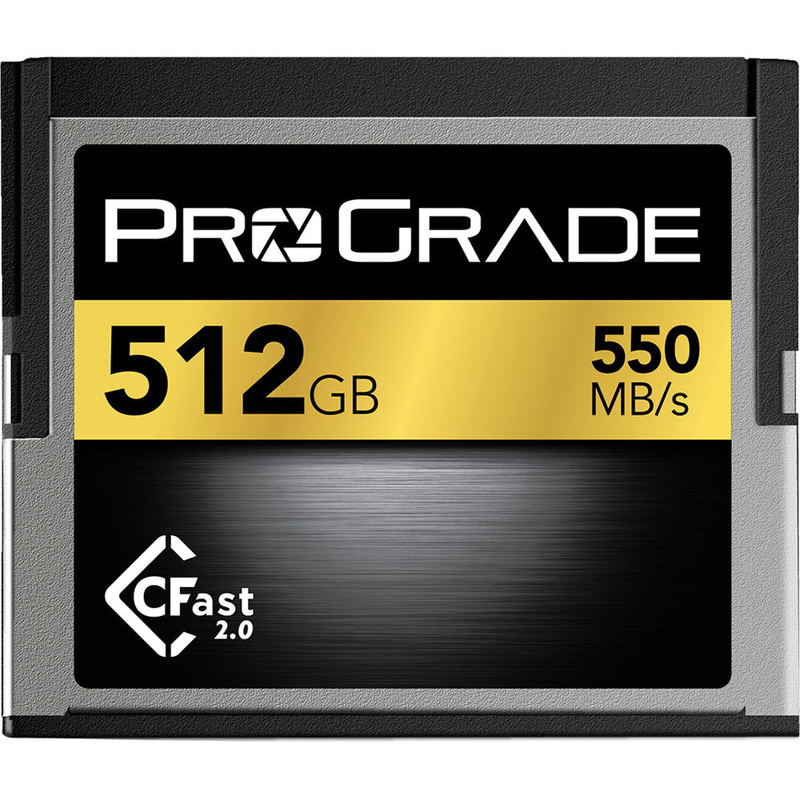 The ProGrade CFast 2.0 Memory Card ranges in price from $209 for the 128 GB version to $699 for the 512 GB version. You can also save a fairly significant amount by purchasing a two-pack. All versions are available here. 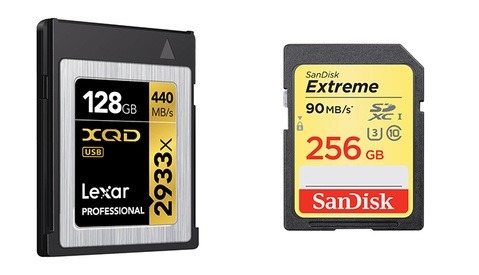 The ProGrade UHS-II SDXC Memory Card comes in two versions of varying capacities, the V60 and V90, which represent the Video Speed Class ratings of 60 MB/s and 90 MB/s, the minimum speed the cards are always guaranteed to write at. I love my Sony a7R III, because it's the first camera where I don't have to choose between resolution and fast frame rates. On the other hand, that also means it's pushing crazy amounts of data around. With an average raw file size of 41 MB and a continuous frame rate of 10 fps, that equates to 410 MB/s in stills mode, even more data than the 1D X Mark II firing at its top rate of 14 fps. Video capture tops out at 100 Mbps (12.5 MB/s), meaning the Video Speed Class ratings of both the V60 and V90 cards should be more than sufficient to never create issues while filming even in 4K. I've been using the V60 SDXC card in my Sony for the last few months, and it's done very well. I've taken it to a few baseball games, where I'm often mashing on the shutter for a few seconds at a time to capture a play, and even at 42 megapixels and 10 fps, I've never run into issues, even when I held the shutter down for about 10 seconds to follow an argument. This is of course helped by the buffer of the a7R III, which is around 76 images, but I've noticed the buffer clears considerably more quickly with the ProGrade card, perhaps to the point that the limiting factor is the camera write speed. This allows for getting back into action at full speed more quickly. The same goes for video shooting; the card didn't even break a sweat. On the read side of things, things were quite good. A 4.76 GB folder of 18 video files transferred in 29 seconds, equating to a read speed of 164 MB/s. That translates to a tidy four raw images per second out of the a7R III or about double that for a normal resolution camera, making offloading files much less of a wait. Again, ProGrade's pricing is quite competitive. The ProGrade UHS-II SDXC Memory Card ranges in price from $49 for the 64 GB V60 card to around $350 for the 256 GB V90 version. You can also save a fairly significant amount by purchasing a two-pack. All versions are available here. ProGrade's card reader complements its memory cards well. Given its data transfer speeds, it leaves room to spare as memory cards generally aren't capable of those read speeds at the moment. The reader is very rugged and precisely built; cards fit snugly in it and slide in and out easily. A lot of readers I've had had too much play and forced me to wiggle cards in and potentially damage them. The base is made of a non-slip grip, but it also has a magnet in it. ProGrade also includes a magnetic sticker you can affix to the back of your laptop. This allows you to save space by mounting the reader to the back of your computer, a much more elegant solution than traditional Velcro. I used the reader for all tests in this review, so as you've already read, it blazes along. Combined with its rugged and elegant construction, it's a great addition to the pack. The ProGrade Dual-Slot CFast 2.0 and UHS-II SDXC USB 3.1 Gen 2 Type-C Card Reader is $79 and is available here. I've been using the ProGrade memory cards and reader for a couple of months now, and they've been completely reliable. I really have no complaints; ProGrade has stepped up to the plate in terms of speed, reliability, durability, and cost. I'd happily recommend them to any photographer or videographer. Would have been nice to have seen them actually read/write tested with a disk speed utility. No matter how many "pro" words there are in their name I wouldn't risk it, knowing Lexar's history. Does anyone know if the CFast reader is backwards compatible? As in, does it read regular CF cards? I've been looking for a decent USB-C reader, but have no need for CFast cards...yet. CFast and CF are totally different connectors, so I assume there is no compatibility for CF cards. I'm looking for a CFast/CF reader as well by the way, but can't seem to find any. Nop CFast and SD only. Hmmmm... there are some bad reviews for ProGrade SD cards on B&H. I've had quite a few Lexar SD cards fail... and I've since switched to SanDisk cards. I'm not sure I'm ready to trust ProGrade yet. I hope they make a new Lexar Hub with 10Gbps USB 3.1 Generation 2 over USB-C that allows for new modules using USB-C with a CFast 2.0 module (updating the previous modules to work over USB-C as well of course). It could also speed up the SSD modules. And they could add TB3 support over the same USB-C port as well if they desired. Just a note on the V60 SD cards. These did NOT work well on my GH5 or GH5s shooting 4k or taking still images. Whenever I'd try to playback a video or take a photo, it would just stall for about 20-30 seconds. They've since released the v90 versions which are supposed to be a bit faster and eliminate this problem. I use them in my 5div's in my 2nd slot and send jpgs only to them. Does anyone know if all the memory cards made by one or two companies to each brands specs or does each major brand have their own manufacturing facility? I have had great luck with SONY branded SD cards and SanDisk. I had a fairly new Sandisk extreme 128gb card break at the top of the connector end. Sandisk warranty replacement is pretty easy and quick. Nothing says cheap knock-off than a name like "ProGrade" with the aperture symbol in the "o." Not changing my Sandisk Extreme Pros. Fast enough for any of my cameras, and reliable as f*ck. Ive been working with the V90 SD and with the card reader and im loving it. What no CF just Cfast and SD nope not interested, need a reader that does all 3, otherwise its useless to me.